The Iranian government warned on Monday that any non-official crowdfunding initiative to help relief efforts after flash floods killed at least 17 people in the country will be shut down. Deputy Attorney General Javid Javidnia told the judiciary-linked Mizan news agency that any donation must instead be made through the Red Crescent Society or the official Aid Committee in order to avoid potential financial fraud. He added that so far 60 accounts, mostly created by celebrities, had been closed and that future attempts would result in the same outcome with the funds transferred to government agencies. Previous natural disasters in the country have shown that people prefer to donate to crowdfunding campaigns set up by celebrities rather than government agencies. 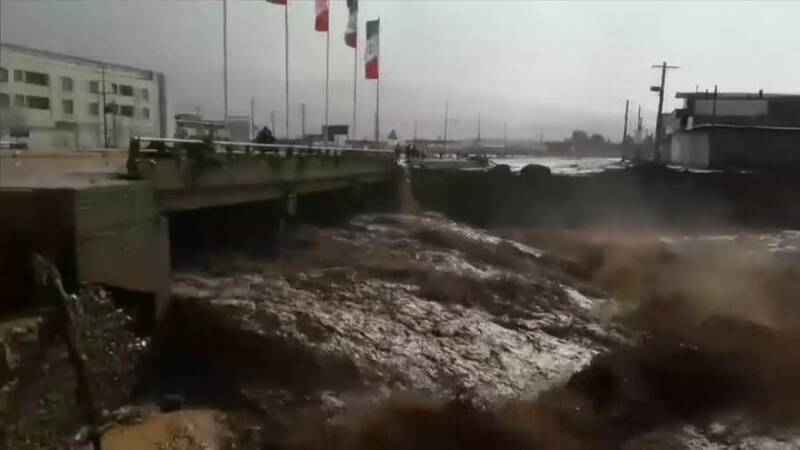 At least 17 people including four children have died and 74 were injured in flash floods in Shiraz, the capital of the southern province of Fars, state TV reported on Monday. Another person also died in Sarpol-e Zahab in the western province of Kermanshah. "I am urging people to stay inside their homes in order to remain unharmed," Enayatollah Rahimi, governor of the Fars province, told state television, adding, " the scale of the flood damage is under investigation." Heavy rains and floods also impacted large swathes of the northern provinces of Golestan and Mazandaran. The Iranian Red Crescent said on Sunday that as many as 68,000 people had been affected by the floods in the north of the country. In a rare move, Iran's top authority, Supreme Leader Ayatollah Ali Khamenei, has called on the armed forces to help the flood-hit northern provinces. Following Khamenei's order, Iran's elite Revolutionary Guards Corps and its affiliated Basij militia have been playing a leading role in dealing with the aftermath of the floods in northern provinces.